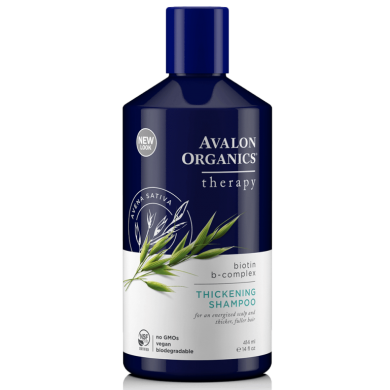 Avalon Organics Thickening Biotin B-Complex Shampoo is an effective treatment shampoo that strengthens thinning hair and helps to prevent excessive hair loss. 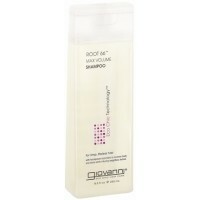 This shampoo is enriched with Oat, Raspberry, Carrot, Tomato and Avocado extracts that are known Biotin carriers. 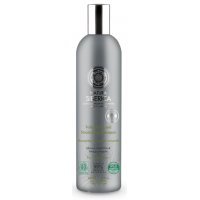 Saw Palmetto extract, Wheat Protein, Vitamin E and Biotin are the key ingredients to energise scalp and to promote thicker, fuller hair. 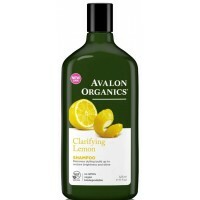 Avalon Organics Thickening Shampoo cleanses your hair thoroughly, helps to build body in fine hair and nourishes every hair shaft. 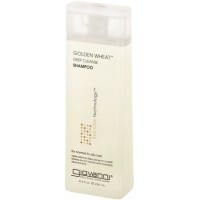 Your hair will feel thicker, softer, with more volume and natural shine. 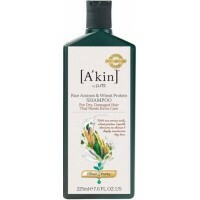 For thin, fine and limp hair. 70% Organic content. pH Balanced. 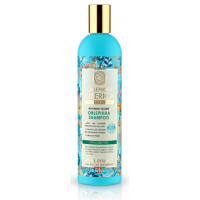 How to use: Apply to wet hair, lather and rinse thoroughly. 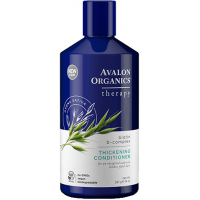 For best results follow with Avalon Organics Thickening Biotin B-Complex Conditioner. Ingredients Aloe Barbadensis Leaf Juice(1), Aqua (Water), Decyl Glucoside, Sodium Coco-Sulfate, Coco-Glucoside, Sorbitol, Xanthan Gum, Avena Sativa (Oat) Kernel Extract(1)*, Calendula Officinalis Flower Extract(1), Chamomilla Recutita (Matricaria) Flower Extract(1), Citrus Aurantium Bergamia (Bergamot) Fruit Extract, Daucus Carota Sativa (Carrot) Root Extract(1)*, Persea Gratissima (Avocado) Fruit Extract(1)*, Rubus Idaeus (Raspberry) Fruit Extract(1)*, Serenoa Serrulata Fruit Extract(1)(2), Solanum Lycopersicum (Tomato) Fruit/Leaf/ Stem Extract(1)*, Styrax Benzoin Resin Extract, Tanacetum Vulgare Extract, Canarium Luzonicum Gum Nonvolatiles, Cedrus Deodara Wood Oil, Cedrus Atlantica Bark Oil, Citrus Aurantifolia (Lime) Oil, Citrus Aurantium Dulcis (Orange) Peel Oil, Citrus Grandis (Grapefruit) Peel Oil, Citrus Limon (Lemon) Peel Oil, Copaifera Officinalis (Balsam Copaiba) Resin, Coriandrum Sativum (Coriander) Fruit Oil, Eucalyptus Citriodora Oil, Eucalyptus Globulus Leaf Oil, Ferula Galbaniflua (Galbanum) Resin Oil, Geranium Maculatum Oil, Helianthus Annuus (Sunflower) Seed Oil(1), Lavandula Angustifolia (Lavender) Oil, Mentha Piperita (Peppermint) Oil, Pogostemon Cablin (Patchouli) Oil, Rosmarinus Officinalis (Rosemary) Leaf Oil, Simmondsia Chinensis (Jojoba) Seed Oil(1), Zingiber Officinale (Ginger) Root Oil, Babassu Oil Polyglyceryl-4 Esters, Bisabolol, Citric Acid, Hydrolyzed Wheat Protein, Inulin(1), Sodium Sulfate, Tocopheryl Acetate, Alcohol(1), Benzyl Alcohol, Potassium Sorbate, Sodium Benzoate, Limonene, Linalool. (1)Certified Organic Ingredient. (2)Saw Palmetto Extract. *Known as Biotin carrier.